Stress is good if it pushes you to do better work within a permissible time limit. However, any abnormal increase in stress levels can prove to be harmful to your brain. The brain tends to shrink with age. 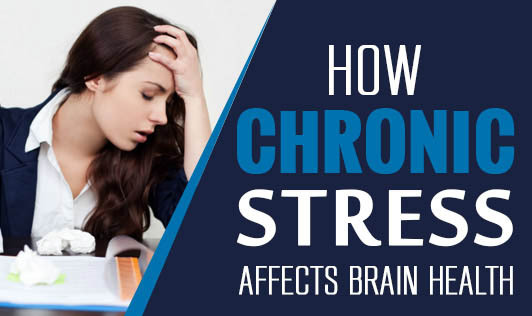 If you put your brain under constant stress, it causes a considerable decrease in brain size which ultimately interferes with the grey matter content. The prefrontal cortex region, responsible for emotions and reactions to stressful situations, showed reduced grey matter in this region in people who went through extreme periods of stress, like a divorce, the death of a parent, loss of wealth, and certain other similar situations. Chronic stress interferes with the connectivity between hippocampus and amygdala- the two important parts of the brain which communicate with each other to generate adequate responses. If this connectivity is disturbed, it may lead to nil or very disproportionate response to any stressful situation. Stress also affects the development of stem cells. A situation where stem cells do not mature into neurons can lead to a mental imbalance due to reduced grey matter in the relevant portions of the brain. Watch out for the situations that can cause chronic stress. It is advisable to adopt a healthier perspective towards any situation that pops up in our lives and catches us unaware. Taking things one at a time helps you deal with them better.